The power of peer recognition shouldn't be underestimated. High Fives are a great tool that allows employees to show each other appreciation whenever they do something awesome. If you do not see the option to @mention, this article will help you set @mentions up. #1 Give a High Five in your current 15Five. The option to give a High Five will be included in the last section of your 15Five. This High Five will be sent once the 15Five is submitted. #2 Give a High Five in Real Time. Click on the tab High Fives to give a High Five in real time! High Fives given from the dashboard will be Public. Private High Fives are not available to be given from the dashboard and can only be given directly on a user's reports. Once a High Five is given, an email is sent notifying the recipient and the High Five is pushed down into the feed on the Dashboard. The most recent High Fives are visible at the top of the feed. If you give a High Five from the dashboard it will appear in your current 15Five in a read-only format. 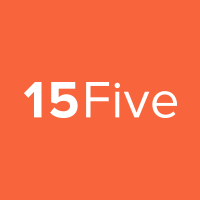 When your 15Five is submitted, only High Fives you give within your 15Five will notify recipients (as they were already notified in real-time from the Dashboard). NOTE: High Fives given from the feed are public only. 1. Click on the 'High Fives' tab. 2. Give your High Five! #4 (Managers/Reviewers only): High Five while reviewing your direct report's 15Five Manager High Fives have proven to be the most memorable, according to a recent Gallup survey. Make giving High Fives to your direct reports a seamless process. 1. Click on the '15Fives' tab. 2. Click on 'Team 15Fives'. 3. Find the check-in you want to review. 4. In the 'High Fives' section, you will see the option to High Five your direct report. You can also choose whether you would like to make the High Five public or private. When you give a Private High Five, the person you High Fived will be notified by email and can add a comment or like the High Five. Neither your Reviewer nor anyone else using 15Five can see the Private High Five you gave. It’s between you and the person receiving the High Five. You can only give a Private High Five to one person at a time. Private High Fives are not available for group High Fives or multi-person High Fives. Private High Fives do not appear on the High Five Dashboard feed. Private High Fives will not be shared to public Slack channels. Private High Fives are not available on iOS as yet. This will happen in an upcoming release. The date is yet to be determined. 1. From within your 15Five, draft your High Five. Then click the 'Public' drop down menu to the right of your High Five. 2. Choose the 'Private High Five' option. Once that option has been selected, your High Five should show in a muted red. That is your confirmation that the High Five is private.